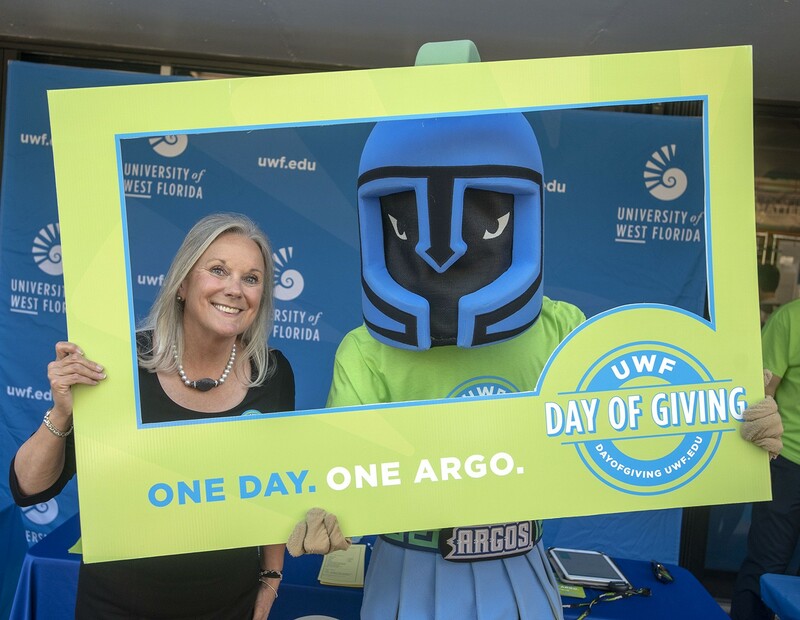 The University of West Florida hosted its inaugural Day of Giving event on Thursday, April 19, raising more than $113,000. Over 900 people donated online and in-person on campus, during UWF’s first ever 24-hour fundraising initiative. Day of Giving is an online, social-media-driven effort that supports the University and its programs. 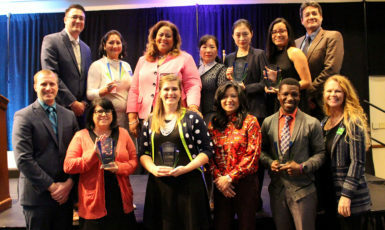 Alumni, students, parents, faculty, staff and friends made gifts, directing their contributions to any of the 14 featured funds. The goal for the initiative is to bring all Argos together on one day and make a lasting impact for current and future students. The athletics fund drew the highest number of donors and dollars, at $23,115 and 183 donors followed by UWF’s greatest needs and the Argo Pantry fund. Donations came in from 43 states and several countries, with donations from Ireland, England, Costa Rica, Australia and New Zealand. The event was part of UWF’s inaugural Founders Week, a weeklong celebration that serves as an opportunity to bring the UWF family together, welcome alumni and visitors to campus and give back to the community. 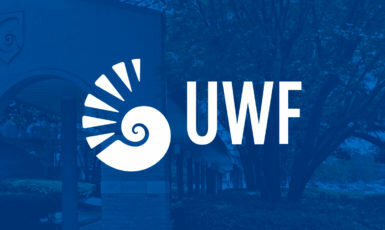 For more information on Founders Week, visit uwf.edu/foundersweek. Donations were accepted online through April 30. For more information about UWF Day of Giving, visit dayofgiving.uwf.edu. For more information about donating to UWF, visit uwf.edu/give.